Photoful is the new way to organize and view your photos. Separate them by day, month, year. Use gestures to select, navigate, & organize. Swipe & pinch to select photos, share, see months at a time and more. #Tagging to quickly catalog your memories. Delete photos by tossing them left. Clean up your collection fast. Share a dozen as easy as one - to any device, cross-platform; even via SMS or Tweet. Enhance your batch edit your photos with Aviary. Need to edit more than one photo? No problem. Swipe the photos you need to touch-up and batch edit on the fly. Photoful is using our free and customizable iOS SDK. The long awaited sequel to Halftone, which was named by Apple as one of the best Photo apps of 2011 with over 2 million downloads is now available! 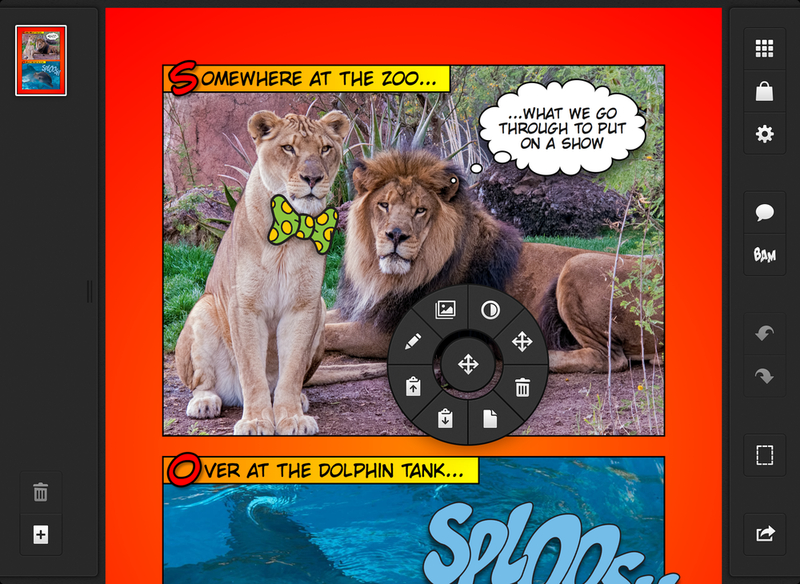 Halftone 2 re-imagines what it means to turn your photos into professionally-themed comic book pages on a touch device. Quickly and easily create stories that put words in your friends' mouths and thoughts in their heads. Enhance each photo with Aviary's free iOS SDK, add some WHAMS, BAMS, and POWS, and share your creations with the world. Notabli is a simple app for saving your kids' amazing moments and instantly sharing them with loved ones to a private network. It's a central location for parents to safely keep posts about their children using photos, videos, audio, quotes, and stories. With the latest integration of Aviary's iOS SDK, parents now have the ability to fully customize each photo with effects, frames, stickers and more to make it just as unique as the moment itself. Although the idea here is to keep these photos safe within a private network, you do have the option to share them to your favorite social networks if you choose to. It's the perfect way to keep close friends and family in the loop. We highly recommend it. Having trouble organizing your life and/or figuring out new things to do? Bloom's got you covered. With over 300,000 downloads, they're 100% focused on making your life better, one step at a time. Bloom inspires you to live every day to the fullest: Reminders to make healthy choices, stay connected with others, manage stress, strengthen your spirit, save money, advance your career, and enhance your creativity. 1 of the ways you can do so is by creating / combining your favorite photos to help visualize that reminder. With the latest integration of Aviary's iOS SDK, users can now rest assured their "Blooms" are beautiful and stunning. Quotes on quotes on quotes! Framies is your all-in-one photo creation tool if you're looking for a quick and simple way to express yourself. Pick and choose your favorite quote to slap on any photo (they have 1000's to choose from) or get extra creative and make your own. Stylize your photos with dozens of filters with Aviary's editor and share it across your social networks. Photo Timer - Selfies! More selfies! Color splash tool! - Change the context of any photo. I'm sold. You should be too. By combining an intuitive UI with innovative design, Kloudpics created a truly unique social photo sharing experience. The app allows you to view and manage photos from all of your social networks, making it a powerful tool for shutterbugs on the go. Highlight: Aggregates your social feeds so you can view all of your content in one place. Rocklive allows you to connect with your friends and fans via great features, including geo tagging and photo sharing. While Rocklive is a social network on it’s own, it also has tight integration with with other networks, such as Facebook and Twitter, giving you the best of many worlds. Highlight: The ability to create video posts right from your phone. Moped is a unique mobile communications experience that focuses on private messaging. Moped integrates a handful of APIs in addition to ours, including Spotify's, which allows users to playback shared tracks. Highlight: Login using Twitter and make use of hashtags and @replies. Get Moped for iOS & Android. Great for capturing fast paced action, Fast Burst Camera is capable of taking 30 photos per second. Highlight: Easily turn your quick snaps into animated GIFs. Get Fast Burst Camera for Android. Private Photo Vault provides a wide range of functionality pertaining to the management and protection of its users’ media. Get Private Photo Vault for iOS. If you’re a developer building a cool new application that needs photo editing, grab our SDK and you might be featured in our next round up! Aviary Announces Another New Partner: Photobucket! For nearly a decade, Photobucket’s dedicated users have cherished the photo sharing and storage service. Those users have stored over 10 billion total images. With that magnitude of precious moments, Photobucket has a lot of responsibility on its hands. 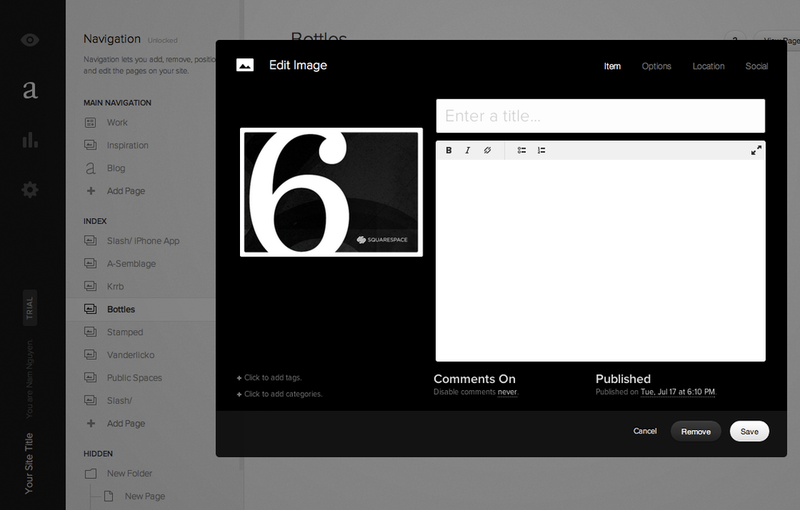 So, we’re honored that Photobucket has chosen Aviary as its photo editing solution. Now, Photobucket users can easily and effectively beautify their photos and albums with Aviary. Photo editing has always been a core part of the Photobucket web experience, but Photobucket users are also highly active on mobile. With a new website recently launched, and upcoming updates to its mobile products, Photobucket turned to Aviary to provide robust and consistent cross-platform photo editing capabilities for its users. We carefully design our SDKs to be native to each platform we offer -- iOS, Android, Windows Phone, HTML5 -- so the product is strong, the deployment is simple, and users get a seamless and intuitive photo editing experience no matter where they are. Today, you’ll find Aviary on Photobucket’s website, and soon, on its iOS and Android apps. Photobucket has included all of our powerful tools, including “Splash” - our brand new color splash tool, which is already a user favorite. We can’t wait to share what’s in store for Photobucket’s mobile applications. Welcome to the Aviary Partner Network, Photobucket! We’re looking forward to seeing your photographers put our tools to work. If you have an application or website and want to integrate the best photo editing experience, don’t hesitate to get in touch with us at partners@aviary.com. Squarespace just announced the public availability of Squarespace 6, a complete overhaul of its successful website creation platform. 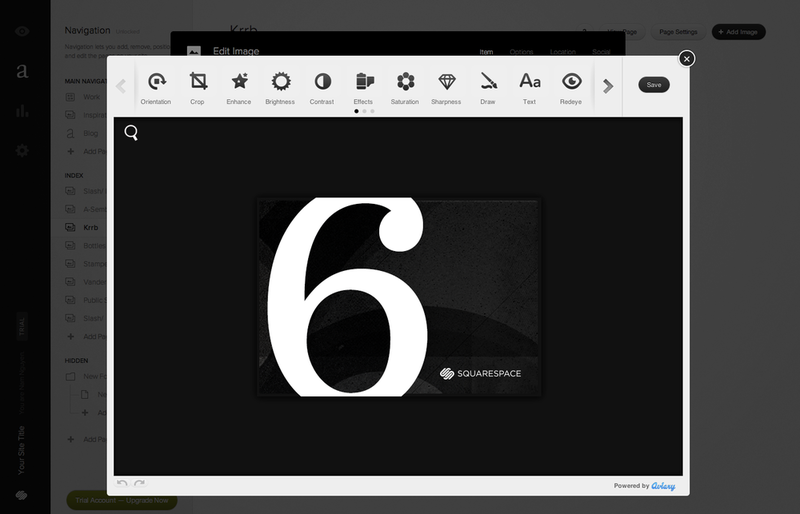 The Squarespace 6 platform adds over 50 new features to Squarespace’s core service, including Aviary's photo editor! For those who don't already know, Squarespace is a state-of-the-art website creation platform with breakthrough features that make innovative web design more accessible to the public than ever before. Since 2004, the platform has empowered millions to create and maintain modern, high-quality websites regardless of technical ability. If you'd like to check it out, visit them at www.squarespace.com and register for a free 14-day trial. If you'd like to move past the trial period, the new platform is available today starting at just $8 per month with 24/7 support and a free custom domain. Squarespace is committed to building products integrated with the most popular services on the web, which is one of the reasons why they chose Aviary. Hit save, and you're back to where you were! Aviary is a *free* photo editing platform for both web and mobile. It's completely customizable to match your site/app, from the tools that are inside, to the user interface. If you'd like to add Aviary's editor to your own site or app, visit Aviary.com and choose your platform to get started. Twitpic, a platform that allows you to share your photos and videos, has just announced the launch of their long awaited iPhone app, and has added Aviary's editor to the mix! They've taken advantage of the ability to customize the look and feel of the editor's user interface (nice! ), and have chosen the 5 tools that they believe makes most sense for their users: Effects, Enhance, Crop, Orientation, and Brightnes. Download the brand new app here (iTunes Link), or read more about it on their company blog. To learn more about Aviary's iOS SDK, or to see how you can do the same for your app, visit aviary.com/ios.